We’d love your help. 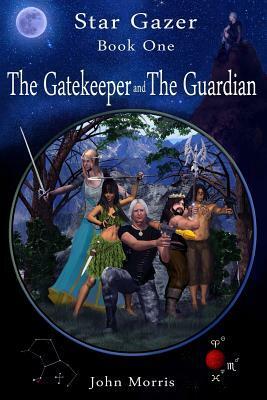 Let us know what’s wrong with this preview of The Guardian and the Gatekeeper by John Morris. To ask other readers questions about The Guardian and the Gatekeeper, please sign up. After months of being given the run-around by dinosaurs of a prehistoric and nepotistic Publishing industry, Morris decided to do it all himself. He now self-publishes on his own fiction book Imprint: Charlotte Greene. The aim of Charlotte Greene is to assist self-publishing authors, by putting them in contact with quality freelances who may provide say, editing services, or cover graphics. “In this day and age, why should anybody demand submission in printed format, double spaced, and in precise fonts? Get real. I have, and it’s called a computer. Charlotte Greene assists self-publishing authors. I had to learn how to do it, and now I am sharing my experience, and my team: Content Editors, Copy Editors, Cover and Graphic Design Artists, and website experts.